This beautiful little collaboration, the brainchild of talented local floral and event designer, Ella Wilsher from Locale Flora and photographed by the equally as talented Kristen from The Paper Fox, showcases some of the best local creatives in our little area of the Sutherland Shire. 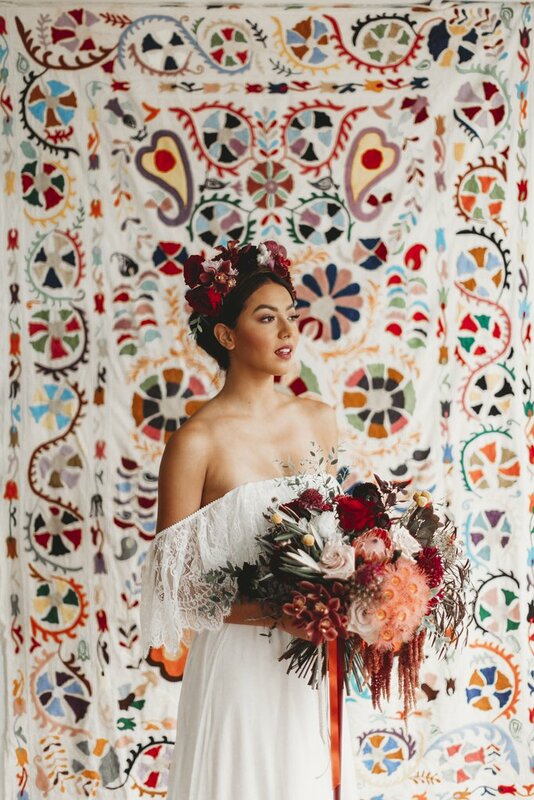 Our Claudine gown features in the Frida Kahlo inspired scenes (I've also included one of my favourite profile shots of this famous Mexican artist / muse for those of you who aren't familiar with her just as yet! ), while our Skye gown is highlighted with beautiful Veronica Lake hair styled by Jennifer Mountain and a simple posy of lavender..... divine!